She cried when her family left her behind at the shelter.. Dogs are a huge responsibility and are family members for life. But unfortunately for some senior dogs, they see them as a burden and thus, no longer a part of their family. 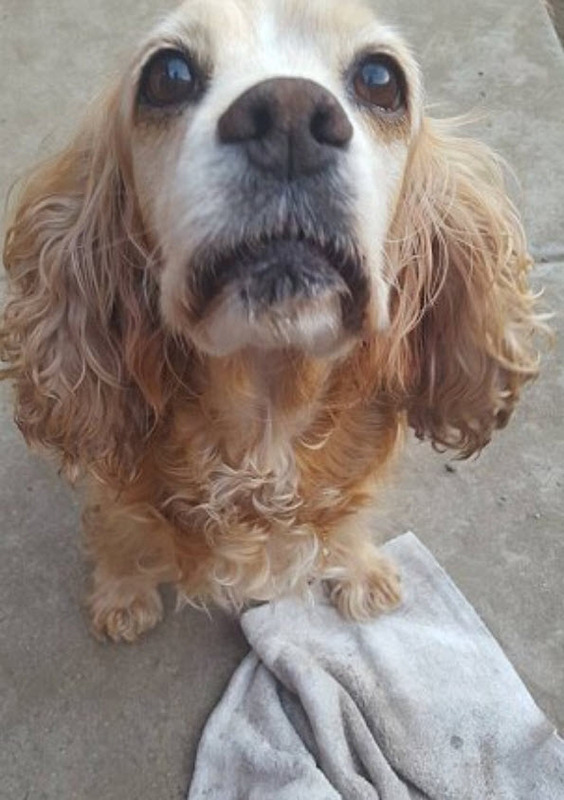 This was the reason why an elderly Cocker Spaniel named Cookie had been left behind at the San Bernardino City Animal Shelter. Cookie and her sibling, Lab, were brought to the San Bernardino City Animal Shelter at first because someone had mistaken them for strays. When their family came to the shelter to reclaim their dogs, they only took Lab back home with them and left Cookie all alone. Upon seeing that her family had abandoned her at the shelter, Cookie started to whimper and cry. Her whimpering and crying soon caught the attention of a staff member at the San Bernardino City Animal Shelter and Cookie’s story was quickly posted on the animal shelter’s Facebook page. Volunteers from OC Small Paws eventually heard about Cookie and took action to save her. 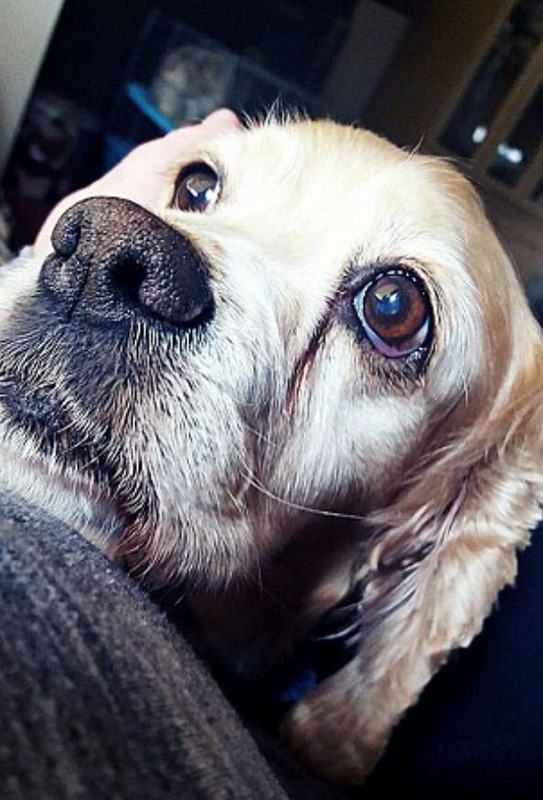 If no one had helped Cookie, she would have to be put down due to her old age. The volunteers from OC Small Paws took her into their care and assigned a foster home for her. Cookie was also taken to a vet for a medical examination and was unfortunately diagnosed with twelve cancerous tumors on her ovaries, which was possibly a result of over-breeding. The vet also assumed that Cookie had been kept outdoors for most of her life as there was a huge amount of dirt embedded in her fur coat. According to Lynn Hamilton, a representative of OC Small Paws, Cookie underwent two surgeries to remove her tumors and is currently doing well. Hamilton also stated that Cookie is a sweet and friendly dog who gets along great with everyone. Due to Cookie’s medical history, OC Small Paws announced that they have decided not to put Cookie up for adoption and would be taken care of by her forever foster family for the rest of her life instead. They also added that their vet will help to maintain Cookie’s health as well. Cookie currently receives plenty of love and affection from her foster family, who takes great care of her and even spoils her rotten with toys! Cookie was once abandoned by her family, but she has been given a second chance at life!